A mild savoury mix made of potato sticks and nuts. 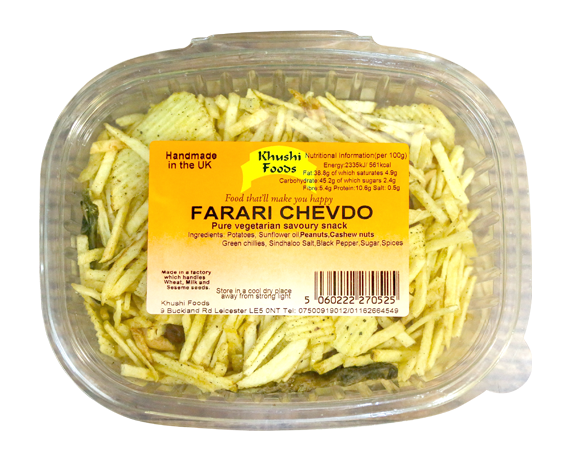 Our Farari Chevdo is made from the finest of ingredients including fresh sunflower oil. Potatoes, sunflower oil, rice flakes, peanuts, cashew nuts, green chillies, Sindhaloo Salt, Black Pepper, sugar, spices. Suitable for vegetarians. Contains nuts. Suitable for Farari.